This post is the second of ten for the Ed100 Chapter of the Month Program, our biggest effort yet to help parent leaders make a lasting difference in their schools and districts. PTA boards that begin using the Chapter of the Month Program right away will be on schedule to accomplish something very cool this school year. The idea is simple: at each monthly meeting, set aside 15 minutes to learn more about important education issues using Ed100. By setting a regular pattern, you'll build momentum for all of your board members to become Ed100 graduates together. What's in Ed100 Chapter 2? Who does the most important work in school? That's an easy one: Students. Students are individuals, each with their own strengths, challenges, quirks and circumstances. Chapter 2 focuses on these future adults, their role in learning, and the many challenges that they may bring with them. For example, this is the chapter where we explore diversity, poverty, race and health (Lessons 2.1 through 2.3), as well as motivation (Lesson 2.6), special needs (2.7) and the particular challenges for undocumented students (2.9). Parents play a key role, which we discuss in Lesson 2.4. Each month this school year we will feature one chapter of Ed100 through email and social media. It's all scheduled. This month (September-October) is Chapter 2. If you start now and keep pace, by the end of the school year you will earn your Ed100 Graduate Certificate. You will also know a lot more about California's education system than you do today. Ask your PTA board members to join you by signing up for Ed100.org. As you know, it's free (no catches) and available in English and Spanish. Sign up at Ed100.org. Review Chapter 2 by watching the short video about it on the Ed100 Chapter of the Month playlist on YouTube. If you have internet access at your meeting location, this video can help bring everyone into the conversation (including those that didn't do the reading). 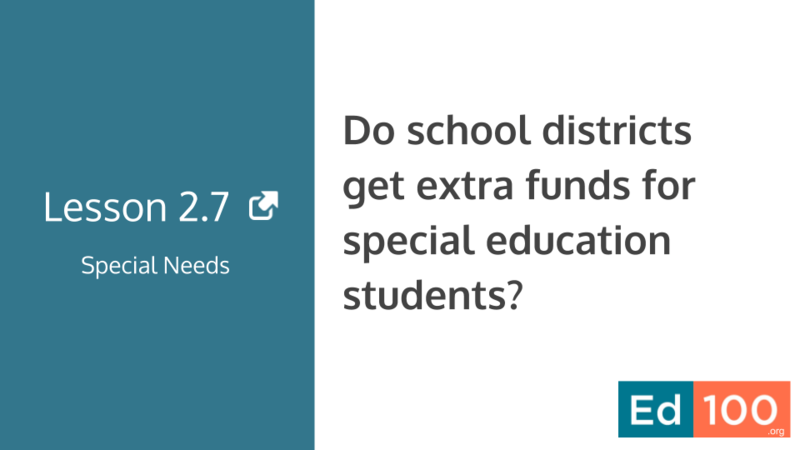 Use the Discussion Guide for Chapter 2 (in English and Spanish) to help talk through the implications for your school or district. If you are trying to get an Ed100 group going in your school group or PTA council, a short presentation can help make it clear. P.S. Thanks to our friends at the San Mateo County Office of Education for translating our Discussion Guides into Spanish.